Protests against the charges filed against six African American high school students included this one on Sept. 20, 2007. Radio personality Michael Baisden, fourth from left, walks with Rev. 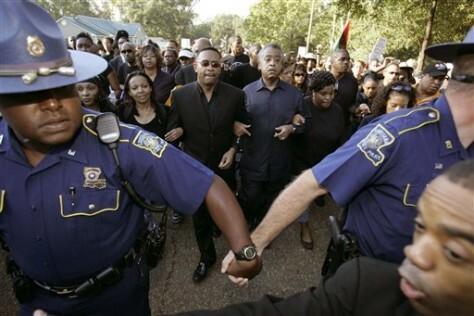 Al Sharpton, center, and Melissa Bell, mother of Mychal Bell, during a march in Jena, La.